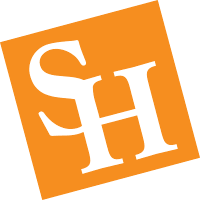 The Bachelor of Science (BS) in Liberal Studies is an interdisciplinary degree that allows students to design a curriculum that meets individual goals by connecting three Sam Houston State University minors, a capstone general studies course, the Texas core curriculum, and appropriate supporting elective courses. During the senior year, liberal studies majors will complete a project in their capstone course that requires the integration of knowledge and ideas from the three areas of study. The liberal studies degree is offered both in a traditional face-to-face classroom and completely online. Our online students find that the flexibility in course scheduling has given them the opportunity to accomplish their academic goals while maintaining their busy lifestyle. If you choose to complete your degree online, please note that only a select number of minors are offered entirely online. All students interested in the Liberal Studies BS must meet with an academic advisor before declaring their major.